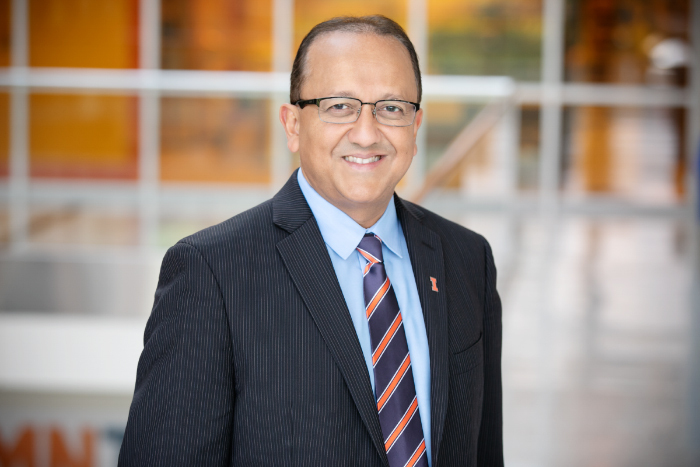 Rashid Bashir, the next dean of the College of Engineering at the University of Illinois at Urbana-Champaign, joined the Illinois faculty as a professor of electrical and computer engineering in 2007. He holds the Grainger Distinguished Chair in Engineering. 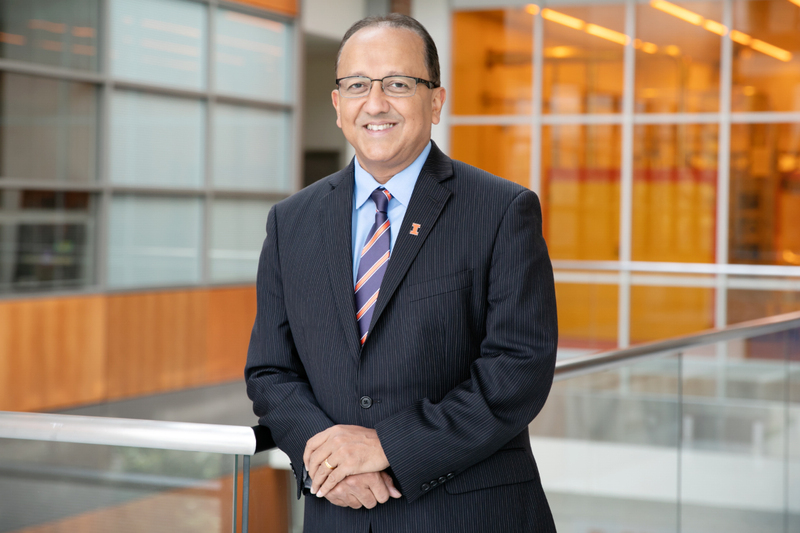 CHAMPAIGN, Ill. — Rashid Bashir will become the next dean of the College of Engineering at the University of Illinois at Urbana-Champaign effective Nov. 1, pending approval by the University of Illinois Board of Trustees. Bashir is the executive associate dean and chief diversity officer of the Carle Illinois College of Medicine. Bashir joined the Illinois faculty as a professor of electrical and computer engineering in 2007. His research interests include bio-nanotechnology, the interfacing of biology and engineering from the molecular to the tissue scale, and applications of semiconductor fabrication to biomedical engineering, all applied to solving biomedical problems. He holds the Grainger Distinguished Chair in Engineering. He held a number of key administrative roles including serving as the director of the Micro and Nanotechnology Laboratory and head of the department of bioengineering. A nationally and internationally recognized scholar, Bashir is a prolific author with more than 250 journal publications and a proven innovator with more than 45 patents. He earned a Ph.D. from Purdue University, worked in the semiconductor industry and held visiting positions at Massachusetts General Hospital and Harvard Medical School. 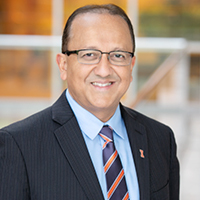 Bashir is a campus leader, fostering new transdisciplinary partnerships and pathways, both across the University of Illinois’ programs and with peer universities and private partners. He played an integral role in the conceptual development and planning of the engineering-based Carle Illinois College of Medicine in 2015. He co-led the formation of the ongoing campuswide Mayo-Illinois Alliance with the Mayo Clinic around individualized medicine, cancer and computational genomics. He also led the formation of the Health Care Engineering Systems Center at Illinois and the Jump Applied Research for Community Health through Engineering and Simulation partnership with OSF HealthCare in Peoria. 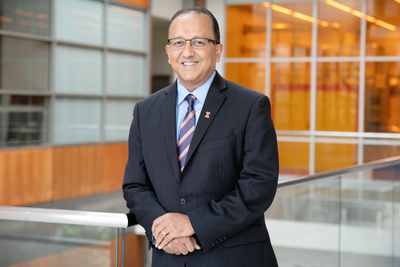 Andreas C. Cangellaris, the Urbana campus’s vice chancellor for academic affairs and provost, recommended the appointment of Bashir to Chancellor Robert Jones after the conclusion of a national search that began last spring. Editor's note: For additional information, contact Robin Kaler, associate chancellor for public affairs, 217-333-5010, or rkaler@illinois.edu.